On this day, 43 years ago, SkyWest Airlines took off on its first scheduled flight – from St. George to Salt Lake City, Utah, with a stop in Cedar City on the way! 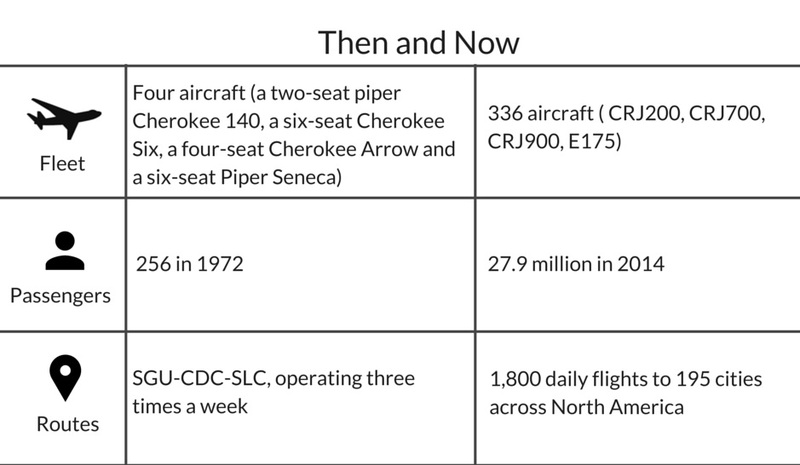 Since that first flight, what was a small, local airline has grown into one of the largest regional airlines in the country. 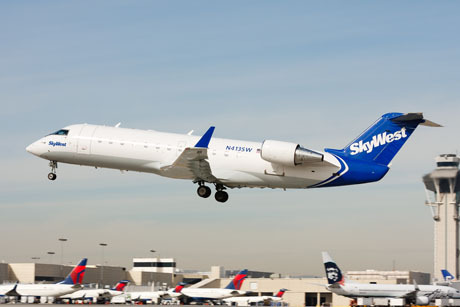 Check out even more about SkyWest’s history at www.skywest.com. So how exactly is a 43rd anniversary celebrated? According to several lists of modern anniversary gifts, the 43rd year should be celebrated with travel! So join in the celebration, and fly a SkyWest Airlines flight today.